On several profiles, blogs and web pages we saw that our comrade – 100% trusted person and friend LUKAS BORL is accused from being a collaborator with Nazis and giving information to cops. Also someone started FAKE Facebook profile under Lukas’ name. All of this is a COMPLETE LIE! These fake messages are probably spread by cops or an enterpriser Vladimir Krulec. Krulec is for longer time in conflict with local anarchist movement because he and his company is not paying the wages to workers and he’s been angry because of sabotages which have been done on his property. Lukas Borl has been living in underground for several months because he is officially wanted. 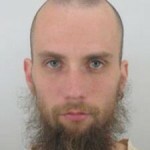 The website of Czech police says that he is dangerous and armed. However he never harmed anyone this shows how much police wants to discredit him and make his life as hard as possible. This false messages about Lukas Borl being an informatory were probably written in order to make already difficult life situation of our comrade even harder and or to monitor how anarchist network communicates. We would like to assure everybody that it´s a lie and a part of police strategy against him, against anarchist and anti authoritarian movement and against international solidarity which has shown to be stronger than police repression. Please publish and share this message in order to prevent misleading information which can harm “freedom” and life of not only Lukas Borl. To approve this information you can check antifenix.noblogs.org – a sister website of Czech ABC focusing on contemporary wave of police repression in Czech Rep. called operation Fenix.